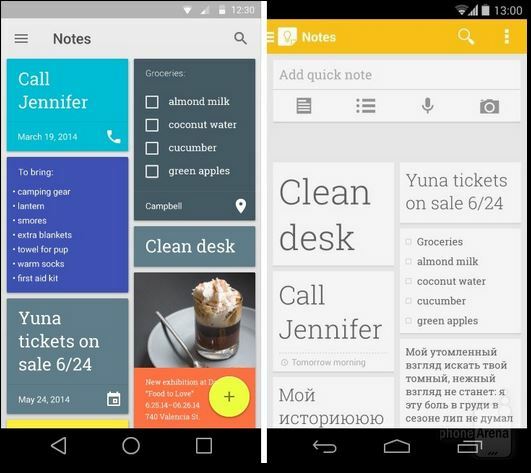 Launching the new Material Design philosophy, Google has successfully managed to introduce a platform consistent design overhaul to some extent. 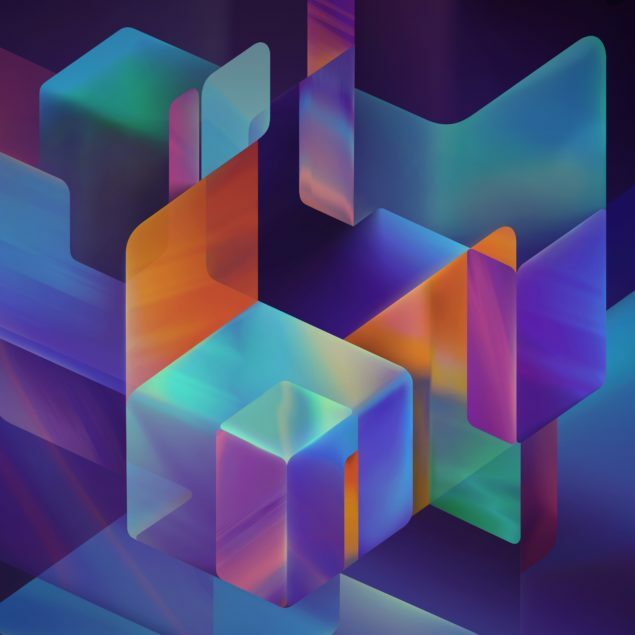 While Google may have started increasingly focusing on Android Wear, new Chrome design and taking living room more ambitiously, Android is definitely one of its strongest products. 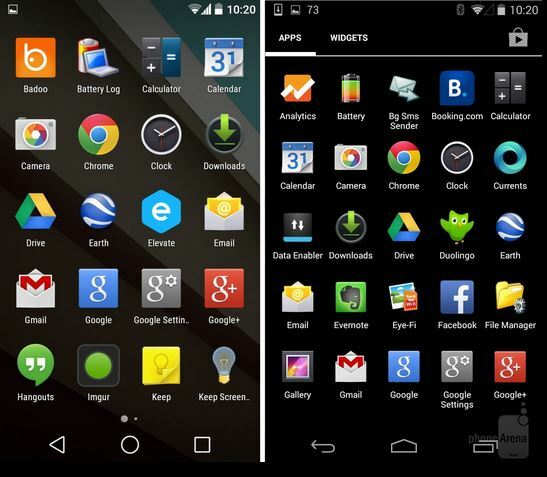 Being used by about a billion users, Android design change wasn’t only looked forward to, but will also be highly criticized as many wouldn’t appreciate it. 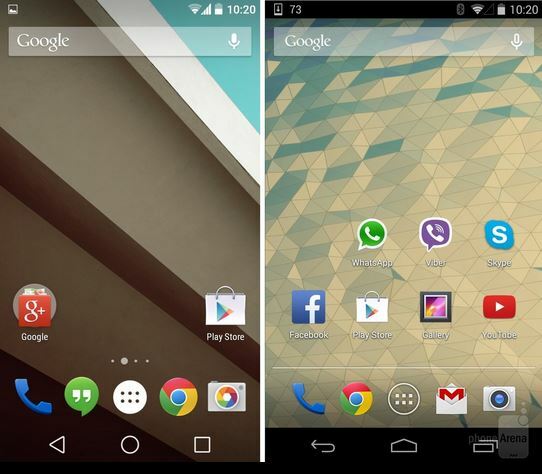 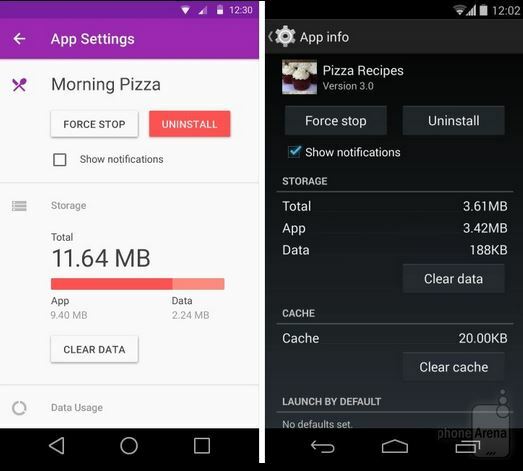 As Google works tirelessly to launch Android L publicly and developers get ready with their delicious games, here is quite a tempting pictorial comparison of Android L vs Android KitKat. 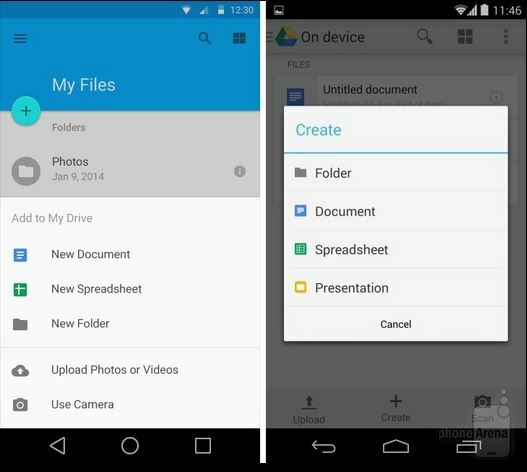 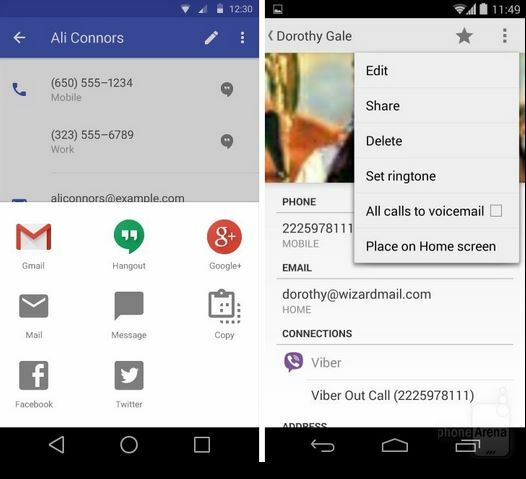 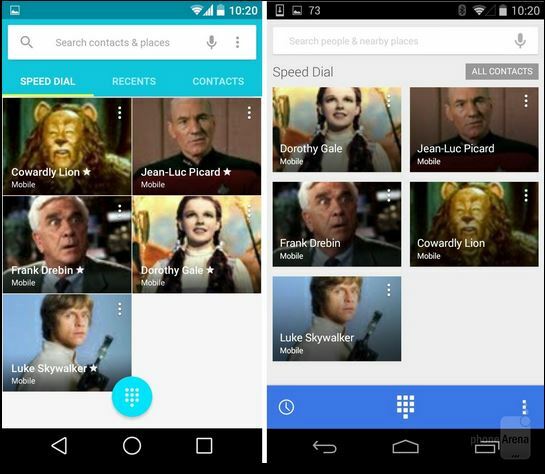 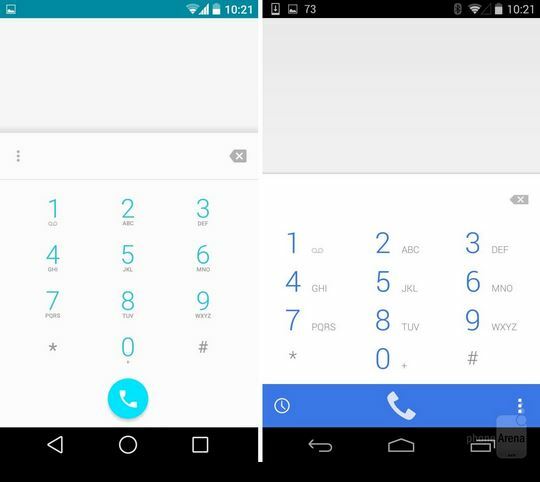 The attached gallery would hopefully help you see numerous small and large design changes that have been introduced with Android L. While we may not like all of them, it should be noted here that not all are final design changes. 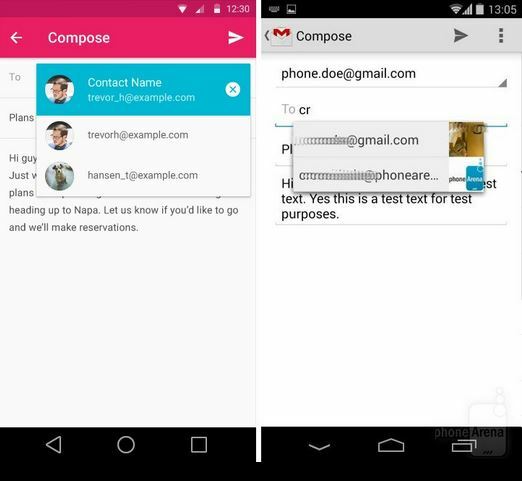 As Android L is in Developer Preview for now, you can expect to see a similar, and yet quite a different final product when Android L is launched in the fall. The primary focus of Material design and thus Android L is giving users an immersive experience with added layers, pretty animations and more. 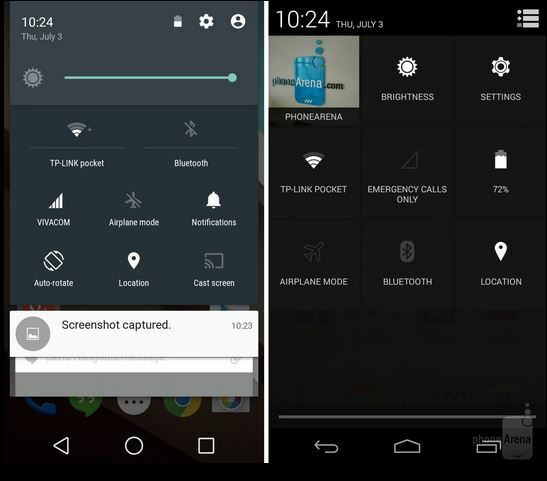 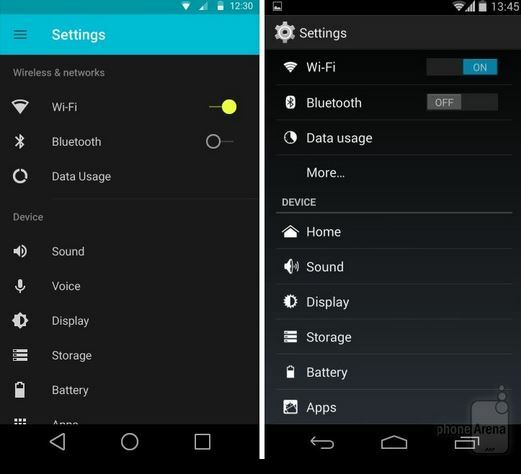 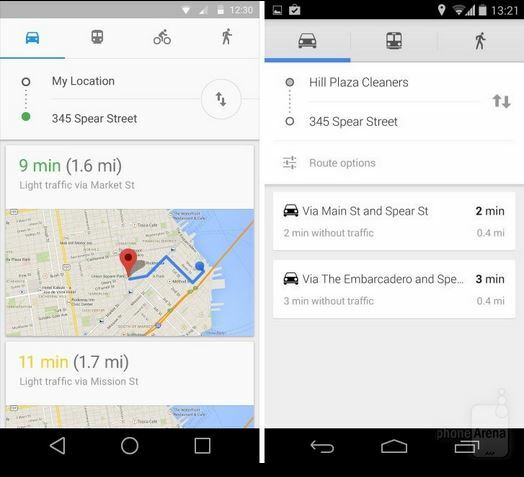 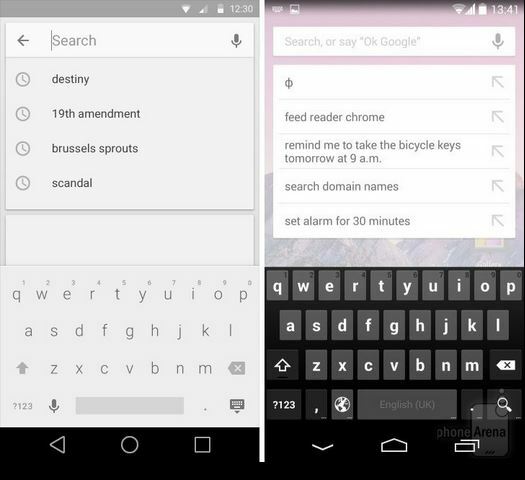 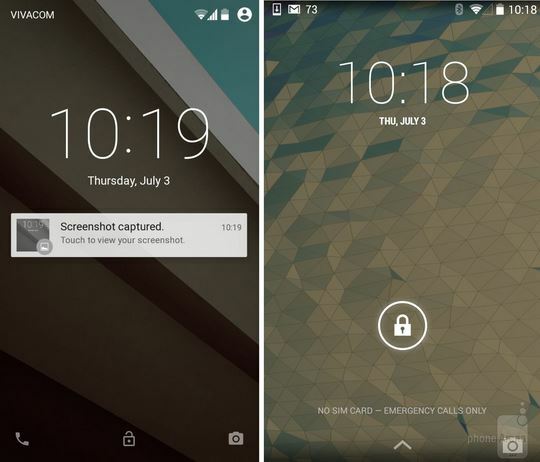 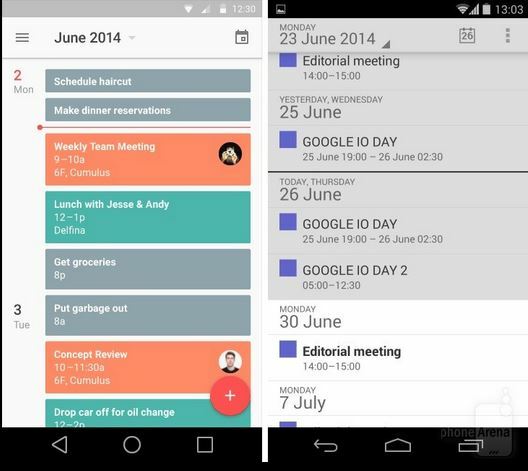 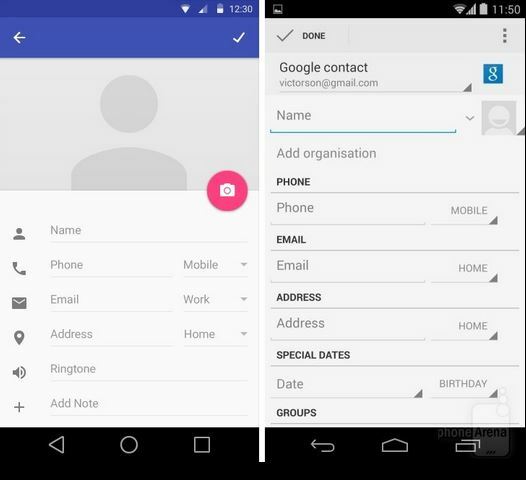 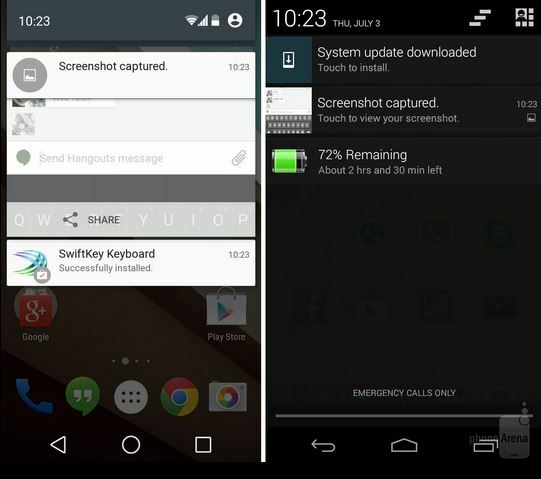 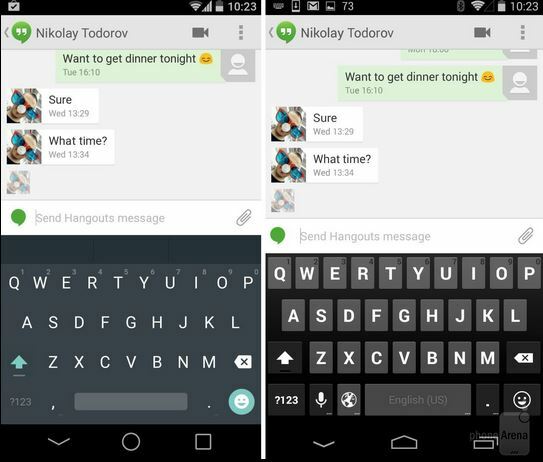 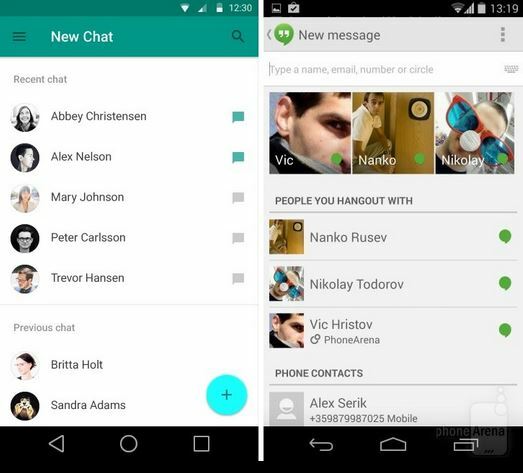 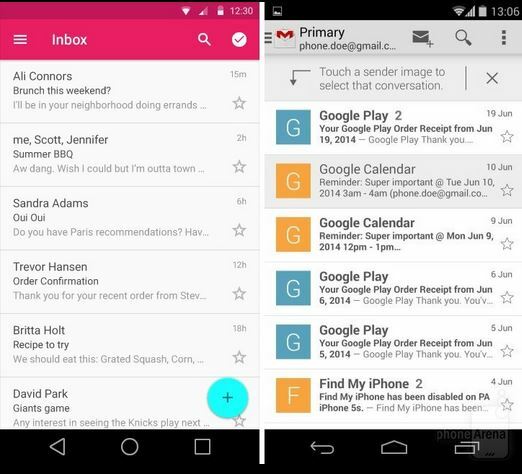 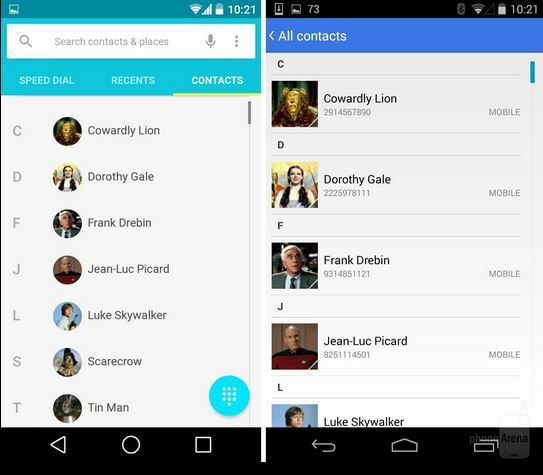 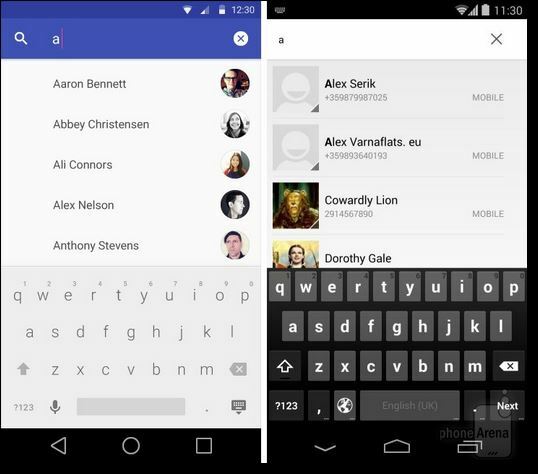 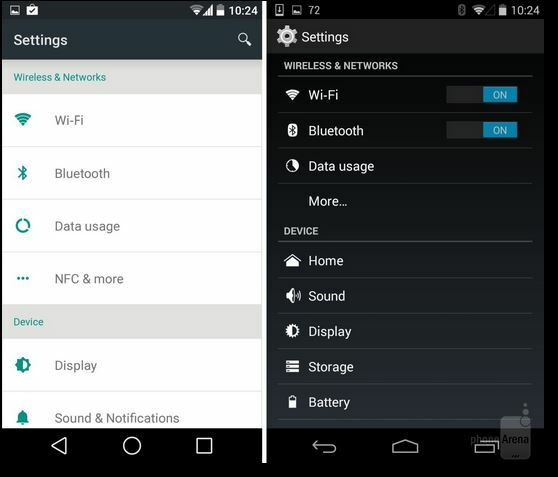 However, there are a plenty of UI changes that are part of every small and big component of Android: from stock email client to gallery app, almost everything is seeing a change with Android L.
We definitely like this minimalistic, flatter, and vibrant colored look of the latest Android L. In this comparison post of Android L vs Android KitKat, the idea is not to weigh positives and negatives but to show an Android user how much interface change should s/he expect from the next Android iteration. 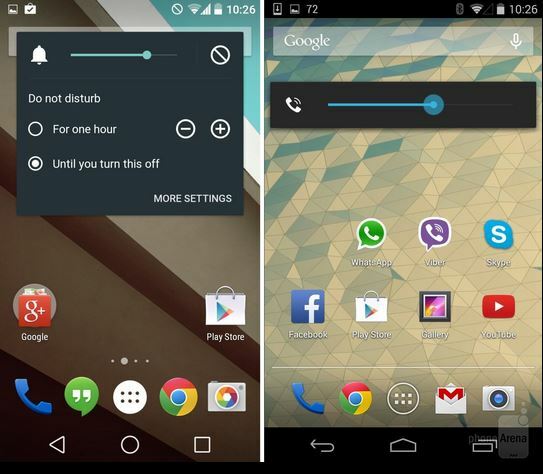 Android KitKat was more of an iterative OS update, hence, it did not carry much design changes. 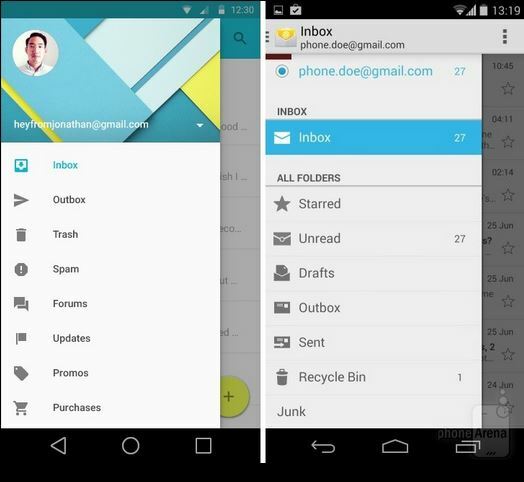 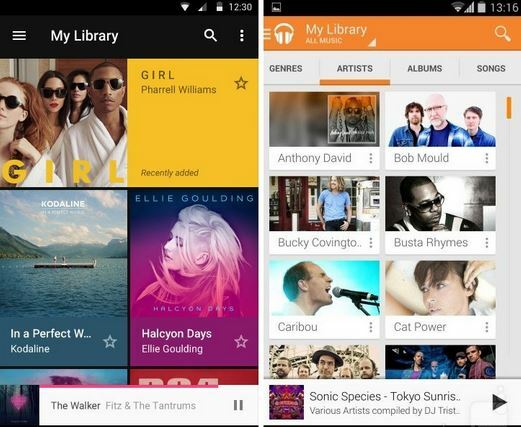 Android L, on the other hand, brings quite a big design overhaul making a shift from Halo. 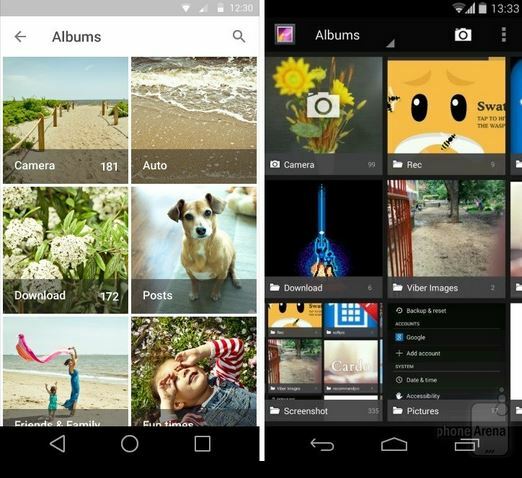 Let us know how you like the look of the latest Android L.
– This gallery is curated by the amazing guys at PhoneArena.